The Orthodox Christian Church was established ca. 33 AD by our Lord and Savior Jesus Christ (Jesus from ‘Joshua’; Christ meaning ‘The Anointed’). In order to save humanity from slavery to sin and death after humankind had turned away from Him, God the Father sent His only Son to become human, reuniting God and humanity within the person of His Son. This Son, Jesus Christ, willingly suffered a brutal death at the hands of the very humans He came to save, but He rose from the dead three days later. Because the Son of God is the source of Life itself, He destroyed the power that death had held over all humanity. 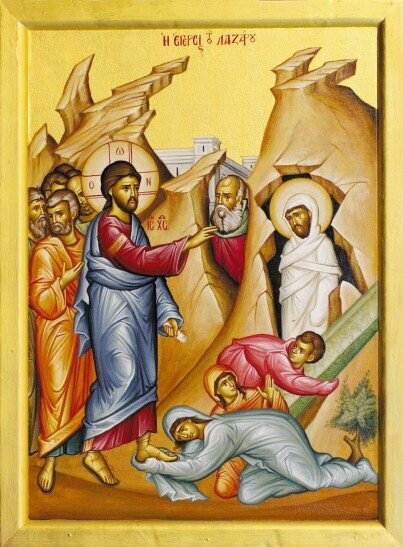 Forty days after His Resurrection, Jesus Christ ascended into the heavens, promising to send God the Holy Spirit. When the Holy Spirit came upon the Apostles—Christ’s chosen envoys to the world—ten days later, He empowered them to go to all nations of the world, making those who responded to the good news of Jesus Christ followers of Him, “baptizing them in the name of the Father, and of the Son, and of the Holy Spirit.” (Matthew 28:19). The Apostles conferred the same gift of the Holy Spirit that they had received by ordaining others to serve the Church as it grew, passing their authority to successive generations, enabling us to serve this same living Body of Christ to the present day. Continue to Who is Jesus Christ?